Print - Who Was That Masked Man? Did you know that I have prints and cards available now? You can purchase them through Fine Art America Currently I have only a few small prints available but if you let me know which print you want and what size I can make it available. The prints I’ve purchased on paper have been very nice. And Fine Art America has a Money Back guarantee. Don't forget. The International Guild of Realism (IGOR) 8th annual exhibition is coming up. The show dates are October 5 – November 30, 2013. The artists were given these instructions: "Each artist will make two pieces that are the same size depicting the North and South. 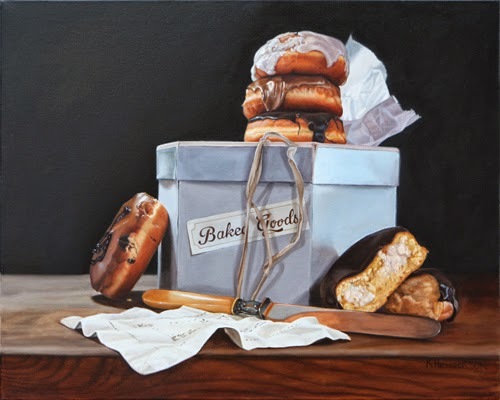 Each piece can have a different vantage point, different tones, different angles, subject in different positions, different subjects etc…but where they sit together nicely and one represents the North and one the South." I didn't take the North and South literally but interpreted it to mean 'Opposite' and these 2 paintings are what I came up with. I have way too much fun painting! 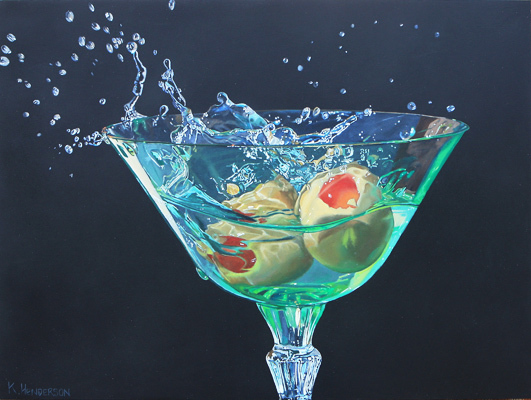 I'm pleased to announce that my painting Martini Splash has been selected for the 23nd Annual 2013 NOAPS ‘Best of America’ Exhibition! This painting was great fun to create. I took hundreds of photo of olives dropping into a beautiful green crystal glass that belonged to my mother. And no martinis were harmed in the creation of this painting. It's just water standing in for the real thing.